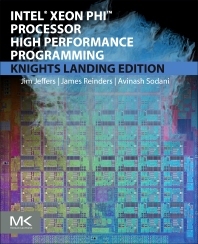 essentials of programming for Intel Xeon Phi products. you better for Intel Xeon Phi processors. What Exactly Is The Unfair Advantage? How Does The Unfair Advantage Relate to This Book? Enjoy the Lack of Porting Needed but Still Tune! What Is Wrong With AOS Memory Layout and SIMD? Why use PGAS on Knights Landing? Avinash Sodani is the chief architect of the Knights Landing Xeon Phi Processor. He has many years of experience architecting high end processors and previously was one of the architects for the first Core(tm) processor codenamed Nehalem.